Culture and art, mountains and farmlands, coastal beaches, lively cities, and Southern charm. All of these and more are reasons to take a trip to Georgia. No matter what kind of vacation people enjoy, these Georgia resorts provide many different exceptional accommodation choices for just about everyone, from scenic retreats in the mountains to oceanfront resorts and country club resorts boasting award-winning golf. Chateau Elan Winery & Resort is a premier destination and luxury winery resort just north of Atlanta, offering a full-production winery, championship golf, world-class amenities, and a European-style health spa. Guests will experience a beautiful French countryside combined with the warmth of Southern and French provincial hospitality from the moment they arrive until the they leave through the gates. The winery, located only 40 minutes outside of Atlanta, began when vineyards were planted in 1981 within the sweeping foothills of North Georgia. Vines include Riesling, cabernet, merlot, and chardonnay grapes, producing some of the most awarded wines on the East Coast. Forrest Hills Mountain Resort & Retreat Center is only about an hour away from Atlanta to the north, nestled in the foothills of the mountains in North Georgia. The first six of the now numerous cabins were built by the Kraft family in 1977 by hand. The resort was originally famous for its romantic honeymoon cabins, but has grown into a great destination for everyone. Forrest Hills includes 85 guest rooms, cabin rentals, and group lodges. There is also an on-site restaurant, an outdoor pool, walking trails, volleyball courts, a gift shop, massage rooms, and stables for horseback riding. The Valhalla Resort Hotel is a heavenly adults-only retreat that offers stunningly appointed king suites. 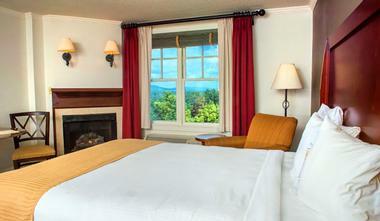 Guests can take in spectacular mountain views from their balcony, cozy up to their fireplace with a book, relax after a long day in a spa rain shower, and get a good night’s sleep in plush bedding. The resort is situated in the Blue Ridge Mountain foothills, right in the heart of Georgia’s wine country. Possessing an ambiance similar to that of a Scottish castle from the Old World, the Valhalla is a regal retreat. Adults will find attention to the fine detail, personalized service, and warm-hospitality. The Ritz-Carlton Reynolds, Lake Oconee is situated along 30 acres of the shoreline of Lake Oconee, offering city-dwellers a place to go and escape from everything in tranquil nature. 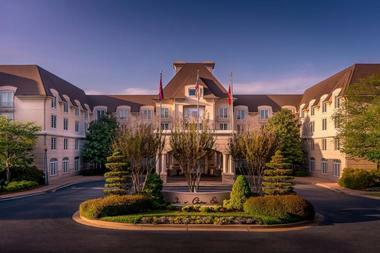 The luxury hotel is located approximately 75 miles away from the city of Atlanta and features lakeside guest rooms and suites. The hotel features 99 holes across five championship golf courses, a massive spa offering Southern-inspired treatments, water bikes, kayaking, fishing, and other activities. There are seven different dining options, ranging from BBQ Butler to the hotel’s steakhouse. 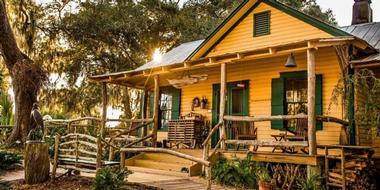 Accommodations are lodge inspired, including the three-floor Lake House and cottages. Located in Adairsville, Barnsley Resort offers the ultimate escape for those who want to unplug from their busy lives and simply enjoy the outdoors. The resort encompasses over 3,000 acres in northern Georgia, appealing to people who love spending time outdoors, those inspired by natural scenery, and anyone with more of an active lifestyle. A wide range of activities is available at the resort, including hiking, shooting, horseback riding, and golf. Barnsley Resort also features rustic and cozy guest accommodations, shops, and a spa. There are a number of dining options, from a beer garden to the Woodlands Grill. Brasstown Valley Resort & Spa is situated within the scenic North Georgia mountains, quietly redefining the idea of a typical getaway in the mountains. The resort is only a 2-hour drive from Chattanooga and Atlanta, making it an ideal destination to escape from the bustling city. Along with boasting delicious dining and exceptional guest rooms, Brasstown Valley Resort also consists of a championship golf course, a large spa, a stable, and various activities to provide something for everyone in the family to enjoy. The property also contains wildlife preserves, streams, and ponds, with scenic hills serving as a perfect frame. 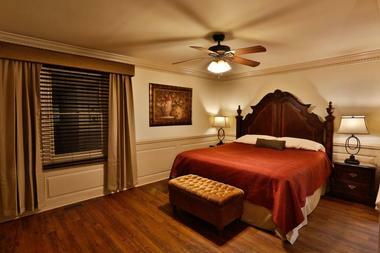 Dahlonega Spa Resort consists of 22 guest rooms that feature tasteful decor, private bathrooms, and walk-in showers. Accommodations do not include any televisions or phones in order to provide guests with a true escape from their busy daily lives within the peaceful mountain retreat. Wi-Fi, however, is offered throughout the property. Most of the cabins available at the resort are pet-friendly. The grounds of the Dahlonega Spa Resort also include a trail network, a restaurant serving locally sourced dishes, and a spa offering several different treatments. Guests can even soak in a Jacuzzi outdoors at the edge of the forest. The Whitley, a Luxury Collection Hotel, is situated in Atlanta’s Buckhead area, featuring stunning views, spacious suites, and chic Southern style. Dining options at the hotel include Trade Root, which sources only the finest ingredients and offers a global adventure in dining. Guests can also enjoy in-room dining during their stay. There are 507 guest rooms at The Whitley, including 56 suites. The hotel is nearing completion of a multi-million renovation which includes all guest rooms, the lobby and The Spa. The Jekyll Island Club Resort is considered to be a treasure of a historic hotel on the Golden Isles of Georgia. It is a full-service destination resort with modern amenities, a rare gem of the isles. 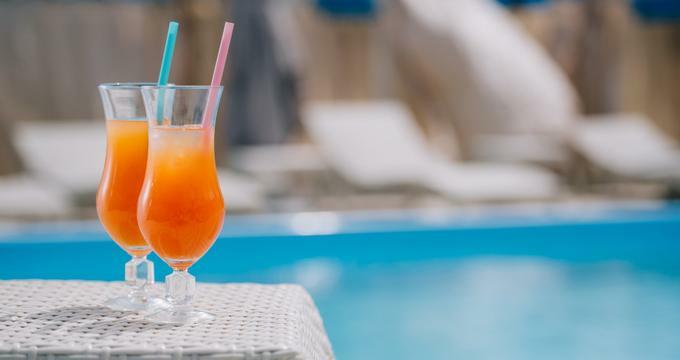 From the family-friendly social atmosphere to the well-appointed accommodations, the resort offers delights for guests around each and every corner. 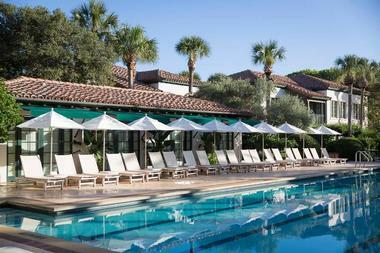 While the backdrop of the Jekyll Island Club Resort is historic, the comforts are certainly lush. Some of the wealthiest families in the country once visited the Jekyll Island Club for decades for seclusion. Today, the resort can be enjoyed by anyone. The location of the Kingwood Country Club & Resort is sure to inspire the nature lover in all who visit the resort. More than 148,000 acres of preserved national forest surrounds the resort, situated at the foot of the beautiful Blue Ridge Mountains. Kingwood boasts a pristine 18-hole golf course that winds its way through the idyllic valley. 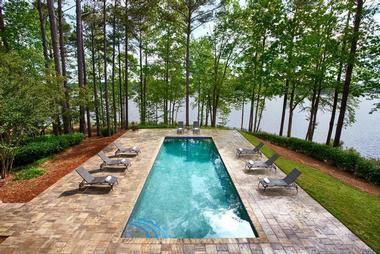 The property also features five different lakes, including spectacular Lake Burton. Both the Chattooga River and the Tallulah Falls roar nearby. The Kingwood Resort offers a bit of everything, from hiking and fishing to golf to European spas and amazing dining. Mandarin Oriental, Atlanta is a luxurious five-star hotel that combines classic luxury and contemporary style with Southern charm. 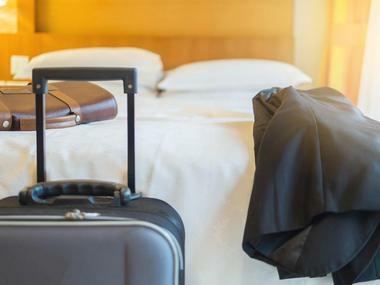 The hotel features beautiful guest rooms, an elegant spa, and an amazing restaurant, offering an ideal base to explore the rest of the city of Atlanta. Each one of the 127 elegant and contemporary guest rooms include comfortable beds and baths with a large amount of counter space and oversized tubs. Other noteworthy aspects of the hotel include its sleek cafe and bar, the English garden, the Taipan lounge, and The Spa at Mandarin Oriental, Atlanta. The Mansion on Forsyth Park offers luxurious accommodations, legendary surroundings, and exceptional service, providing a unique destination in Savannah, Georgia, from which to explore the surrounding area. The beautiful Victorian-Romanesque hotel in the Historic District towers above the park of the same name. Beautifully appointed guest rooms and suites include pillowtop beds, free wireless internet, marble bathrooms, and original artwork. Guests can also choose to partake in a relaxing treatment at the hotel’s luxury spa or view works of art in the gallery. The 700 Kitchen Cooking School offers an opportunity to learn some useful cooking skills and recipes from expert chefs. 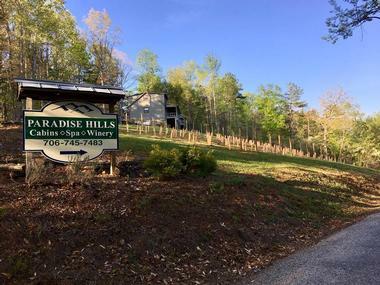 Paradise Hills, Winery Resort & Spa is a hidden gem of Georgia’s Blue Ridge Mountains. The resort offers comfortable cabins for rent, a farm winery, and a European spa, all in a single destination. A truly unique destination, visitors won’t find any other place like it within 100 miles. The surrounding cascading hills provide a sense of privacy for every cabin, which are within a short walk to everything else Paradise Hills has to offer. the tasting room of the boutique farm winery offers handcrafted wines, while the Wellness Spa provides several different treatments inspired by nature within a peaceful environment. The Sea Palms Resort & Conference Center occupies a unique location on St. Simons Island, situated along the serene salt marshes. 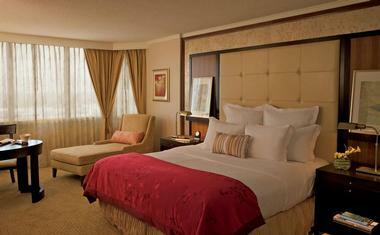 Guest rooms at the resort feature luxurious bedding, spacious balconies, and 42-inch televisions. The resort’s golf course was designed by George Cobb and contains Bermuda fairway, reseeded TifEagle greens, and rebuilt bunkers. The pool at the Sea Palms Resort is outfitted with an outdoor fireplace and cabanas, and there is also a modern fitness center. The Public House, which is the resort’s on-site lounge and restaurant, serves an array of delicious food. Parking and access to East Beach is also included. The Cloister at Sea Island boasts some of the most amazing views of anywhere on Sea Island, as well as PGA golf courses and delicious food. The guest rooms that face the Blackbank River offer the best views. The resort also has a variety of activities for guests to take advantage of on the property, including many beach activities, spa treatments, and fitness classes. The Cloister also offers a long list of amenities for children, including many scheduled activities. Guest rooms feature Nespresso coffee machines and attractive classic decor as well as soaker tubs and rain showers in the bathrooms. 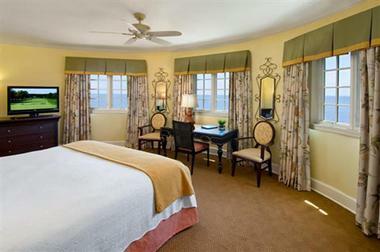 The King and Prince Beach and Golf Resort offers a wide variety of beautifully decorated guest rooms, resort residences, and spacious villas boasting ocean views from their balconies. The resort combines modern amenities with the friendly hospitality that the South is so well known for. 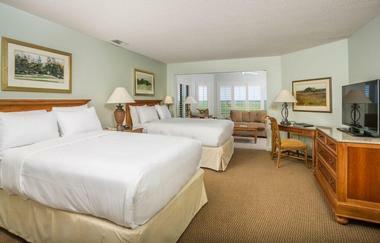 Guests can experience a relaxing massage, exhilarating golf, fun at the beach, the only dining on the oceanfront anywhere on St. Simons Island, and more at The King and Prince Resort. The resort also offers complimentary parking and free wireless internet throughout the property. The Royal Treatment Cottage offers a variety of massage therapies to help guests relax. The Lodge and Spa at Callaway Gardens provides a place for people to escape from the hustle and bustle of their daily lives any time of the year. Fun, adventure, and relaxation can be found within the hotel’s breathtaking landscape during all four seasons. World-class golfing opportunities and trails for biking and hiking are particular favorites across the 2,500 acres of grounds during the spring. Summer brings water-filled fun at the largest man-made beach boasting white sand in the world. Fishing, spa treatments, and wildlife experiences are popular during the fall season, while winter brings Christmas festivities to Callaway Gardens. Guests can enjoy views of the sea from the balcony of their guest room, enjoy some milk and cookies before bed, and delight in the smell and taste of s’mores made at a bonfire at The Lodge at Sea Island Golf Club. There are 43 rooms as well as The Lodge Cottages, which combine to make The Lodge at Sea Island one half five-star hotel and one half intimate hideaway. The Lodge is located on what was originally an antebellum plantation, and remnants of the plantation can still be seen today. 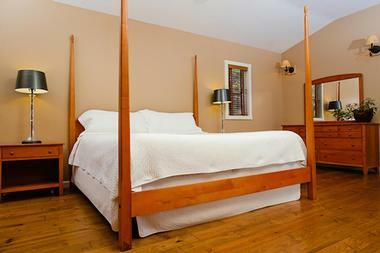 Guest rooms include marble bathrooms with rain showers and soaking tubs. The Ridges Resort on Lake Chatuge	has the scenic Blue Ridge Mountains offering a stunning backdrop to the property, providing a perfect destination for vacations, corporate outings, weddings, or any other special event. The resort includes a variety of accommodations for guests, ranging from various guest rooms to one or more bedroom suites to entire villas. 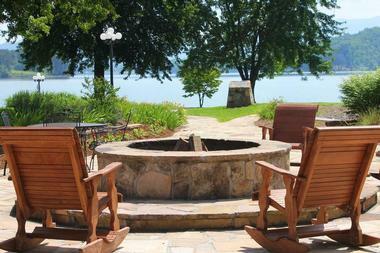 A wide array of activities can also be enjoyed at The Ridges Resort, such as relaxing rides aboard a pontoon boat, golfing, hiking, whitewater rafting, and more, while large Lake Chatuge offers a range of activities on the water as well. The Andaz Savannah offers a unique experience of an eclectic boutique hotel, situated in the heart of historic Savannah. The boutique hotel boasts a relaxed atmosphere, a new South sophistication, and artful decor, delivering a modern and vibrant feel to Savannah’s Historic District. The Andaz consists of 151 guest rooms and suites that are ultra-modern with balconies, large windows, and high-style decor. The terrace pool on the second floor offers colorful views, and the fitness center includes state-of-the-art equipment. 22 Square, the hotel’s restaurant, serves Southern-inspired modern cuisine using fresh and seasonal ingredients, and craft cocktails can be found at the 22 Square Bar. While the hospitality of The Ritz-Carlton, Atlanta has a distinctly Southern feel, the hotel’s style is more modern glamour. This style takes center stage inside, setting the backdrop for weekend getaways, family vacations, and corporate events. 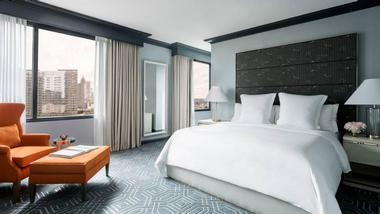 There is a total of 444 beautifully appointed guest rooms as well as suites that overlook the city skyline. 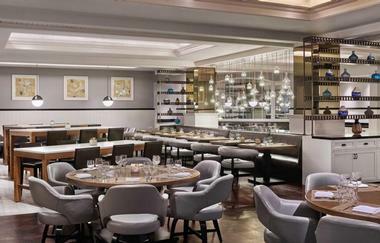 The Ritz Carlton, Atlanta boasts a modern steakhouse, AG, and the Lumen Bar, which serves small plates and cocktails with live entertainment. The MARTA can be easily reached from the hotel, along with Centennial Olympic Park, Georgia Aquarium, the Philips Arena, and the Mercedes-Benz Stadium. The St. Regis Atlanta is located in the upscale Buckhead area of the city, providing visitors with a truly “in-town” luxury resort. The AAA Five Diamond resort is punctuated by signature hotel rituals and impeccable service. 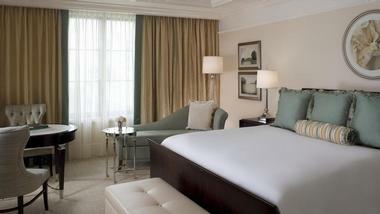 There are 151 spacious accommodations for guests, including 31 suites that are enhanced by the St. Regis Butler Service. Afternoon tea and fine dining can be had at the hotel’s Astor Court, while numerous shops can be found around the Buckhead area. The Remede Spa offers opportunities for relaxation and rejuvenation, as well as the massive Pool Piazza, where guests can relax in the sun. The Westin Savannah Harbor Golf Resort & Spa is situated along the banks of the Savannah River, located only a short ferry ride from Savannah’s Historic District. 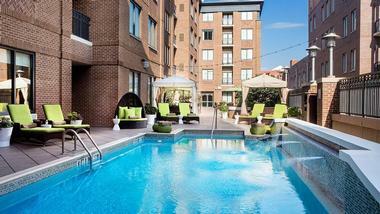 Guests at The Westin Savannah Harbor experience upscale escape in the oldest city in the state of Georgia. The waterfront hotel is the only resort in downtown Savannah and blends resort amenities with urban accessibility, with exciting nightlife and dynamic restaurants nearby. 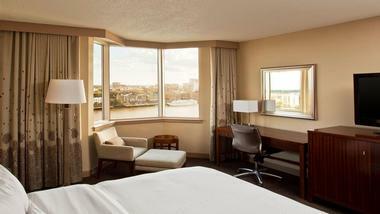 All guest rooms are decorated with soothing tones and feature the Westin Heavenly Beds®. The resort includes a PGA Championship golf course as well as the Heavenly Spa, at which guests can take advantage of relaxing treatments. 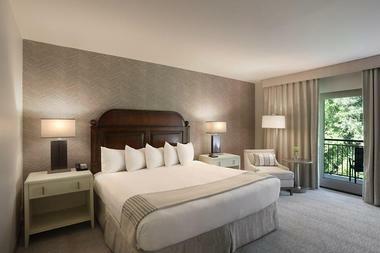 Located in the heart of Midtown, the Four Seasons Hotel Atlanta provides luxurious and ultra-spacious guest rooms as well as suites. The hotel itself occupies the neoclassical tower’s first 19 floors, featuring polished woods and earth tones create a relaxed elegance in its 244 guest accommodations. All rooms include views of the city, with some boasting terraces. The 2,200-square-foot presidential suite on the 19th floor possesses a 360-degree panorama. The hotel’s modern fitness center includes a sun terrace and indoor pool, while the spa contains ten treatment rooms and other perks, such as a happy hour menu of spa treatments on weekdays.